This multi surface Mini Soccer Goal 12′ x 6′ football goal measures 3.6Mx 1.8M (12’x6′) and is made from 68mm environmentally friendly reinforced uPVC with a two section crossbar and ground back bar, enabling the goal to fit into our 2m carry bag (available separately). Less goal post sections makes a quicker match day installation. Mini Soccer Goal 12′ x 6′ includes fully locking posts , and not spragged in holes as seen on other mini soccer goal posts. The net support stanchions are locked in place not just pushed into a hole. This goal has single section uprights, single section back stanchions and two section crossbar/back bar. Less sections make it fast to assemble and disassemble. The bag (supplied separately) is ideal if goals are transported regularly to football pitches, however if the goals are left assembled the goal bags are not required. The Mini soccer goal 12’x6′ conforms to the British standard BS 8462. The Football Association recommended size for Mini-Soccer. Top quality net that out performs the rest. Made in white polyethylene cord (Knotted & braided) for maximum durability. The same quality as used on full size goals so will last. 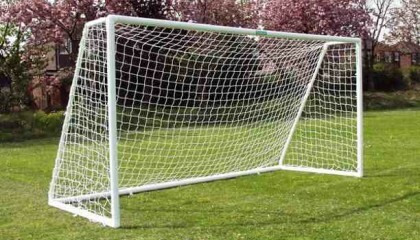 Not to be confused with cheaper goals supplied with pea netting and lower quality nets. Length of goalpost run back 153cm. Unique patented Arrowhead net fixings are included to enable net to be quickly and easily attached behind the post ,not pulled around the front of the posts and clipped as with every other type of uPVC goal. The ground base includes ground frame net fixings so net don’t wrap under frame and don’t wear out. 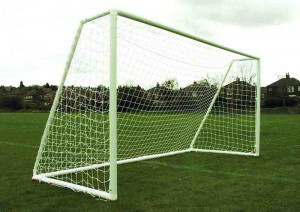 7v7 football goalpost assembly – To view a copy of the goalpost fitting instructions click here. I’m delighted with this product! 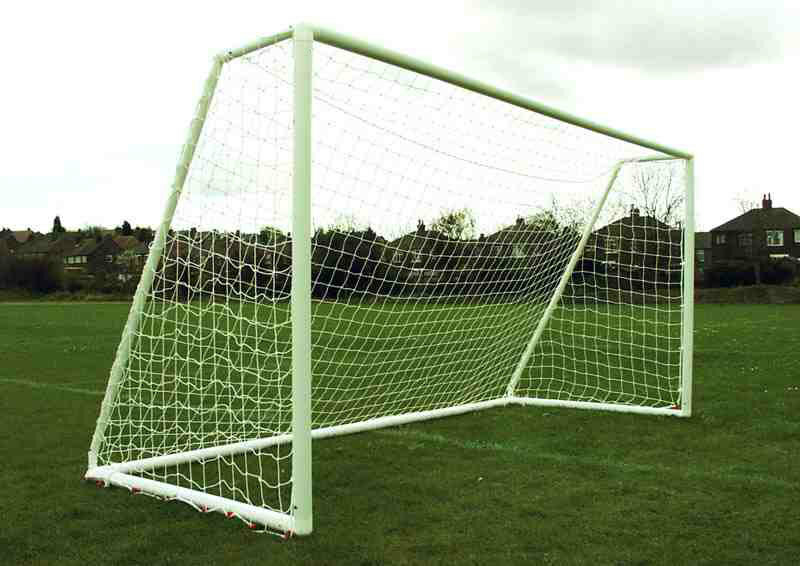 I first became a customer of ITSA GOAL back in the early 1990s when my dad bought us a 12×6 UPVC goal for the garden. It lasted us years and got a huge amount of usage. Over 20 years later, I now run my own grassroots youth football club in Harrow. Having initially bought sets of Samba goals (12×6 with a 3-sectioncrossbar), I was disappointed to find that they quickly started to dip significantly in the middle – still useable but not a great look. 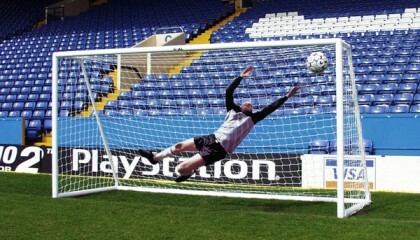 When the time came to purchase additional goalposts, I was delighted to see that ITSA GOAL was still going strong. I chose the UPVC 12×6 2-section crossbar and am pleased to report that they still look great with no visible signs of dipping. Harrow Youth League this season!